In between visiting the giant lantern makers of San Fernando City, we also went to numerous restaurants where we lunched, snacked, and snacked some more. 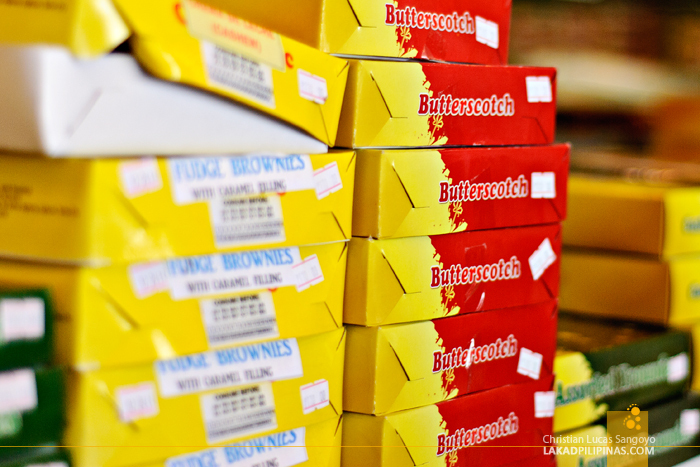 And yes, we do have an excuse for our food binge—Pampanga’s title of being the Culinary Capital of the Philippines. We’re uncovering the province’s little gems, one plate (or two) at a time. 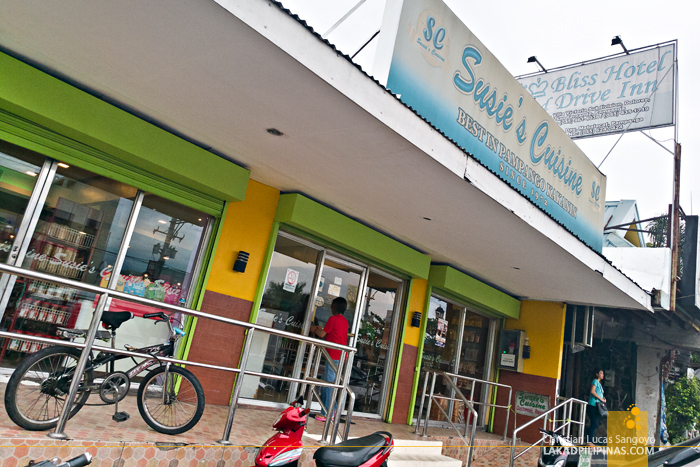 One of the interesting places we visited was Susie’s Cuisine in San Fernando. Located at an air-conditioned building along MacArthur highway, you wouldn’t really think much of it. At first glance, it looks like any ordinary restaurant, that is until servings of their famous pancit luglug and tibok-tibok were plunked right in front of us. 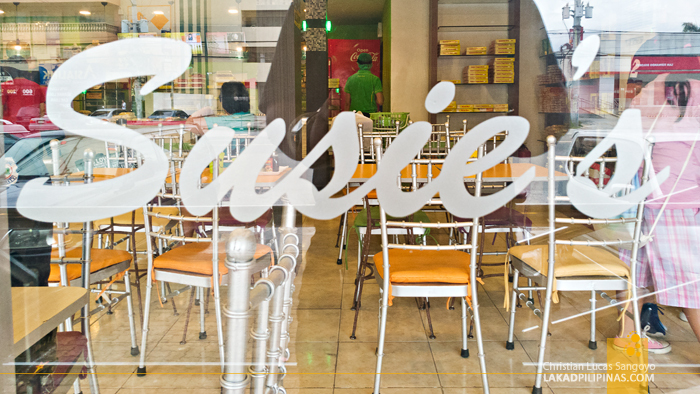 Susie’s Cuisine has been serving Kapampangans since the early seventies. They started out as a small carinderia and have now grown to fourteen branches in different provinces. 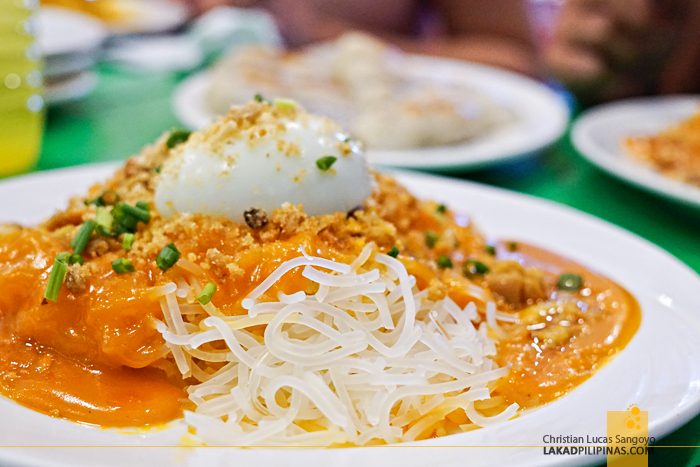 They specialize in pancit luglug, a type of noodles with an atsuete-based sauce, and local kakanin. Pancit luglug is very similar to pancit Malabon, the only difference I can see is that the former has lesser seafood toppings than the latter. I hail from Malabon, so I wasn’t really that excited about the dish, knowing we have better ones in my hometown, especially those being sold at Norma’s Pancit Luglug. 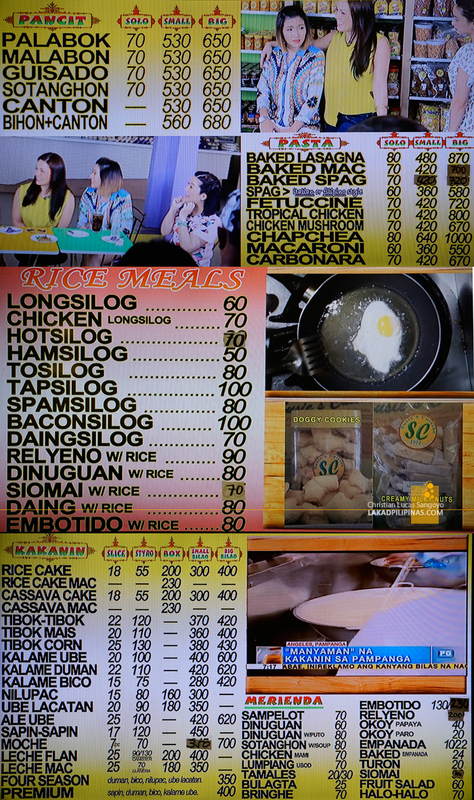 My first mouthful was a big surprise though, Susie’s pancit luglug (or palabok as their menu indicates) rocks. The sauce is made just right, not overpoweringly strong, with the toppings and the hard-boiled egg complementing the noodles. Even with the current state of my tummy, which was still full from lunch, I unbelievably finished everything in record time. For dessert, a slice of tibok-tibok was laid on our table. 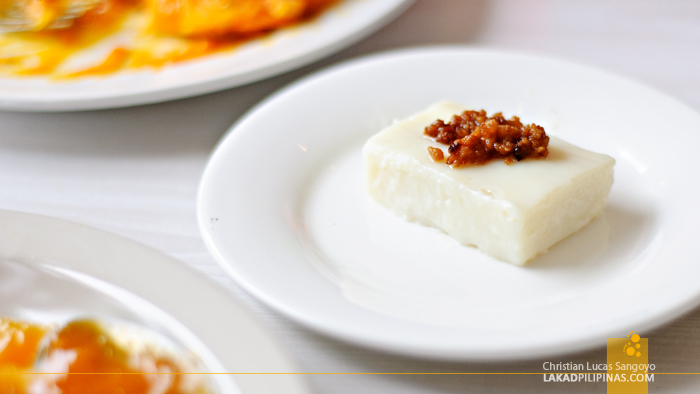 It looks similar to Malabon’s maja blanca but is made from carabao milk. 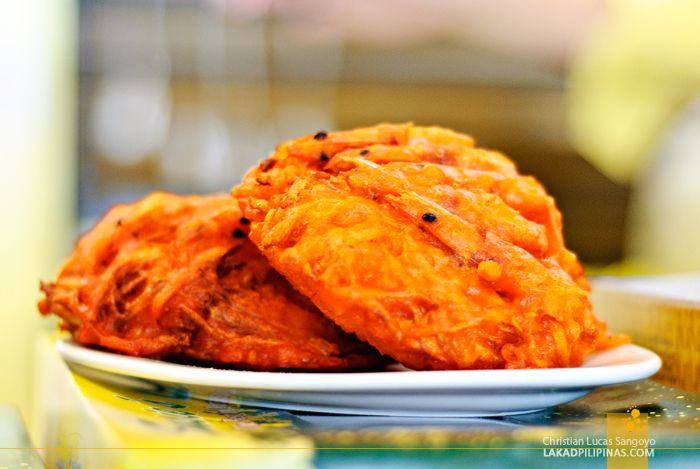 The soft, almost gelatinous slice, is topped by a sprinkle of latik. They said that Susie’s Cuisine sells 300 trays of this daily, and I can definitely see (or taste) why. It is better than any maja blanca I’ve ever had. 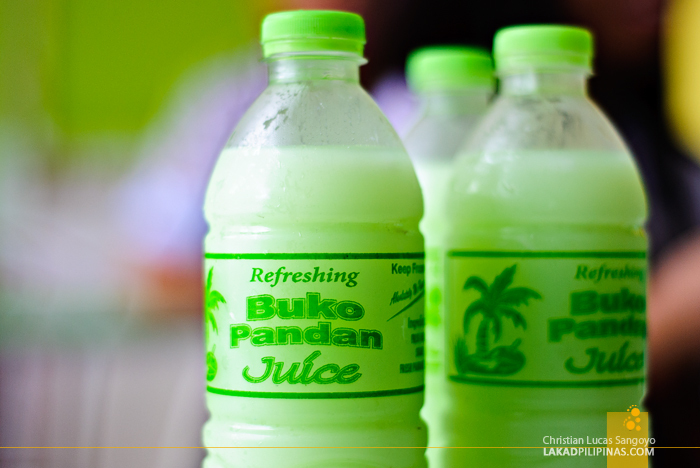 To ease everything down, we were served a bottle of their buko pandan juice—which everyone is raving about. It is indeed refreshing, as it says on its label, but I found it to be quite average. Good, but nothing to write home about. 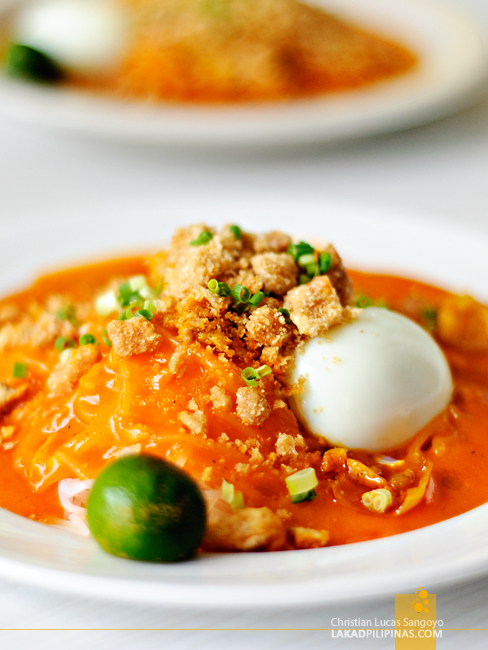 Checking Susie’s Cuisine’s menu, I found an okoy that would probably rival those in the markets of Malabon. The thing is just packed with shrimps and was about an inch thick! I haven’t seen any other okoy like these, but it was just too bad that we were so incredibly full that I wasn’t able to try even a bite. 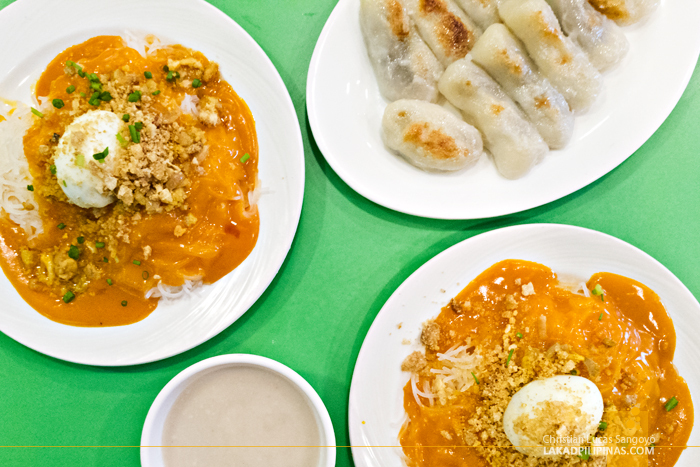 For a kid who grew up in Malabon, Susie’s Cuisine is a happy place. 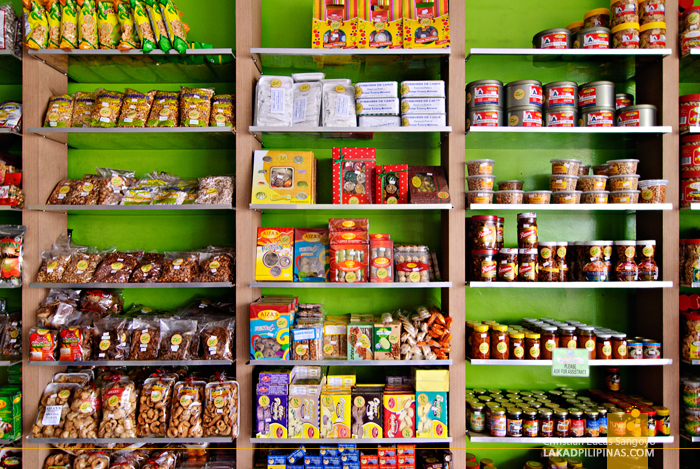 They have pancit luglug, they have maja blanca and they even have okoy! I mean, these are the food that I grew up with. And not only are they available in Pampanga, they’re serving some pretty good versions of them too. 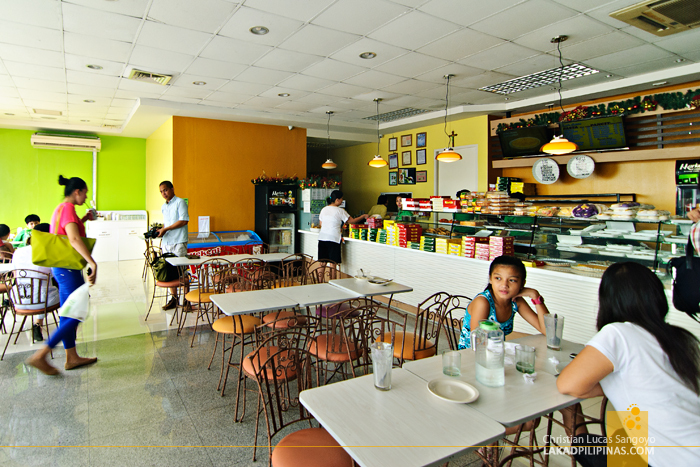 By chance, we dropped by Susie’s Cuisine on their San Fernando branch en route from Cabangan to Manila. It was the same branch I tried three years back and I was curious if it was still as good as during my first visit. We initially wanted to try their pancit Malabon—something I wasn’t able to sample before—but they’re all out, so we went for their signature pancit palabok instead. The difference between the two are the noodles; the former has thick, round rice noodles, while the latter has thinner ones. 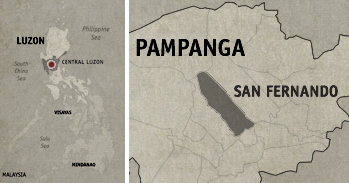 I wasn’t aware that Pampanga actually has its own version of my hometown’s favorite noodle dish. They dub it as pancit luglug—luglug in Pampanga means to wash, and that’s how they cook the noodles, by dipping it repeated on boiling water. Those they serve at Susie’s Cuisine is much saucier (made from shrimp broth and annatto seed extract). Their noodles, upon close inspection, seem to be not as thin as bihon noodles, although not as thick as the usual ones used on pancit Malabon. It was somewhere in between these two. For toppings, they hardly have any seafood on it; instead they have hard boiled egg, scallions, crushed chicharon, and I read on one article, pig’s ear. Not that it has any funky taste. In fact, it was still as good as I remembered it to be. And my companions all agree with me—to the point that they even hunted out Susie’s branch in Quezon City a few days after. For desserts, we were targeting their tibok-tibok, but again, it’s already sold out. We asked for their mochi instead. And we didn’t regret it all. As with the name, it is Japanese-inspired. This delectable sweet treat is made from sticky rice and filled with what seems like mungo beans. To eat, you dunk it on a thick sweet coconut milk-based dip before popping it into your mouth. It’s really, really good. 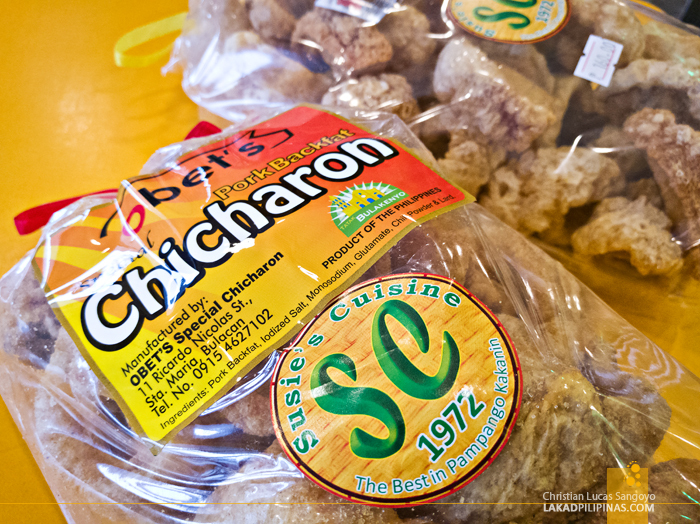 We snagged a couple of items from their pasalubong shelves before going, and one of those is Obet’s Pork Backfat Special Chicharon. This is actually made at the town of Sta. Maria in Bulacan, but distributed by Susie’s. Price is a bit steep at PHP160.00 a bag, but it was special indeed, it was one of the best chicharon I’ve had in a while. And after an excellent food quickie, we’re off back to Manila! we went there last oct 22, pancit is the best!!!!! Diba! 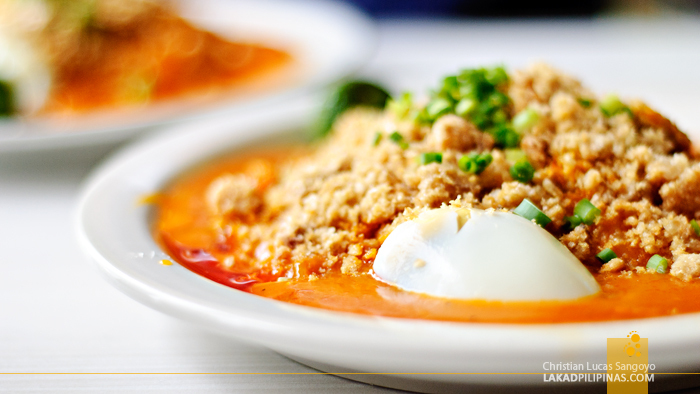 Which one did you try, Susie's palabok or luglug? Hi! A blessed day, may I know how much is a big bilao of Pancit Malabon.